Public Sea Turtle Release FRIDAY February 8th at Sombrero Beach! – The Turtle Hospital. Rescue, Rehab, Release. 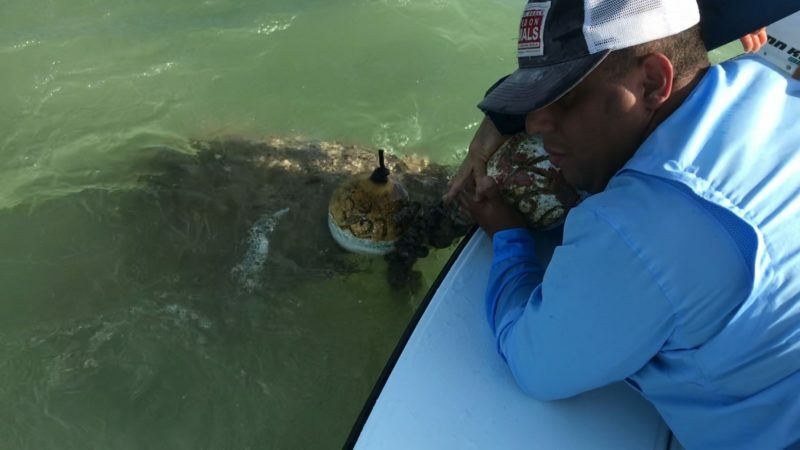 Home » Releases » Uncategorized » Public Sea Turtle Release FRIDAY February 8th at Sombrero Beach! 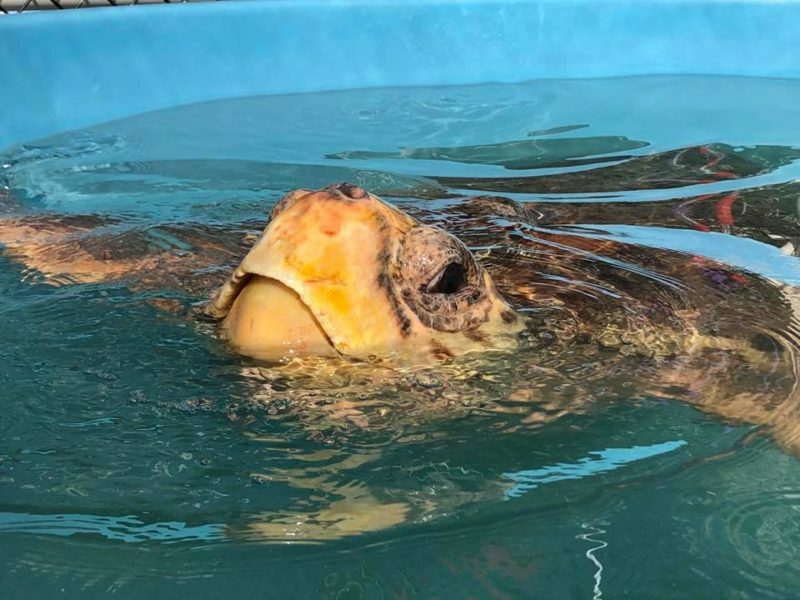 Lady Bradley, a beautiful 170 pound sub-adult loggerhead sea turtle will be returned to her ocean home on Friday, February 8th at 1:00 p.m. Lady Bradley was found entangled in trap line off the upper Keys in early November 2018. 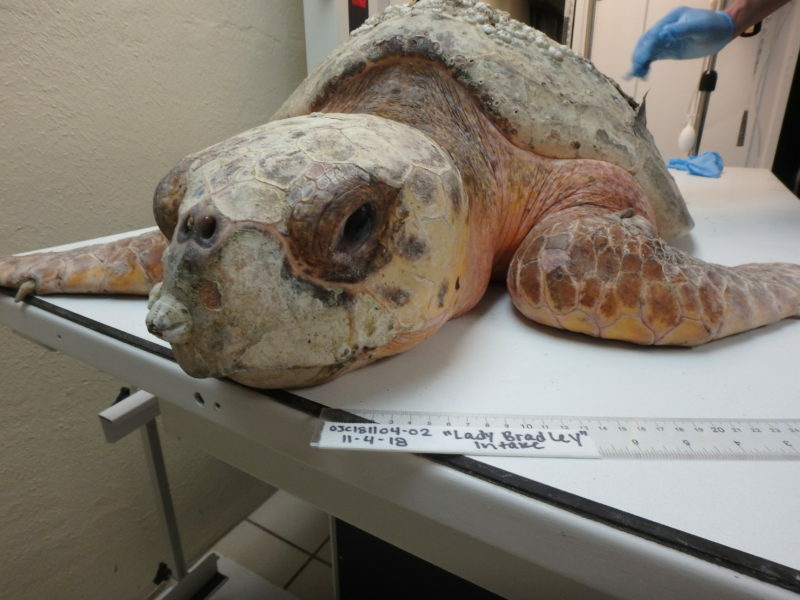 Lady Bradley’s treatment at the Turtle Hospital included amputation of her rear flipper, laser therapy, broad spectrum antibiotics, vitamins, and a healthy diet of fish and squid. Lady Bradley is fully recovered, swimming strong and ready to go home! Please bring your friends and join us to celebrate Lady Bradley’s return to the sea on Friday at Sombrero Beach, Marathon. The turtle ambulance will arrive at the beach around 12:40 p.m. with release at 1:00 p.m. See you there!